Supernatural 9x22 "Stairway to Heaven"
Well, only one episode left after tonight. I mean, one episode left of this season, of course, as we all know there will be another season. Anywho, with Abaddon gone, the boys can now shift their complete focus over to the angel saga. And the latest in the angel saga? Why, self-exploding angels, of course! Say what? After one angel goes kabluey and kills an agent of Metatron (along with some nearby humans), Cas calls on Sam and Dean to help him figure out just what is going on, particularly after they see a video recording of said angel saying he's doing it for Castiel. Obviously our dear Cas would not ask a member of his flock to go all suicide bomber, so they set out to track down friends of the exploding angel to figure out what his deal was. Can I be honest? Not very much really happened in this episode, despite it being the penultimate one. Basically, Dean ends up finding Tessa, former Reaper (still Reaper? who knows), who was going to be another of the suicide bombers. She claims that Castiel asked her to do it for him, despite no one believing this could be true. Dean, having brought along the first blade despite Sam vehemently saying he should not, and believing he in fact did not bring it, ends up inadvertently killing her with it. Well, technically I suppose she sticks herself with it, but he did have it so conveniently in his hand. And... another recurring female bites the dust. The other angels aren't so much happy about this development, to be sure. In a bowling alley, Metatron is trying to convince a rogue angel general to get his flock to follow him, but is interrupted when another angel bomber shows up trying to kill Metatron. He only succeeds in killing the guy Metatron was trying to convince, so poor him. 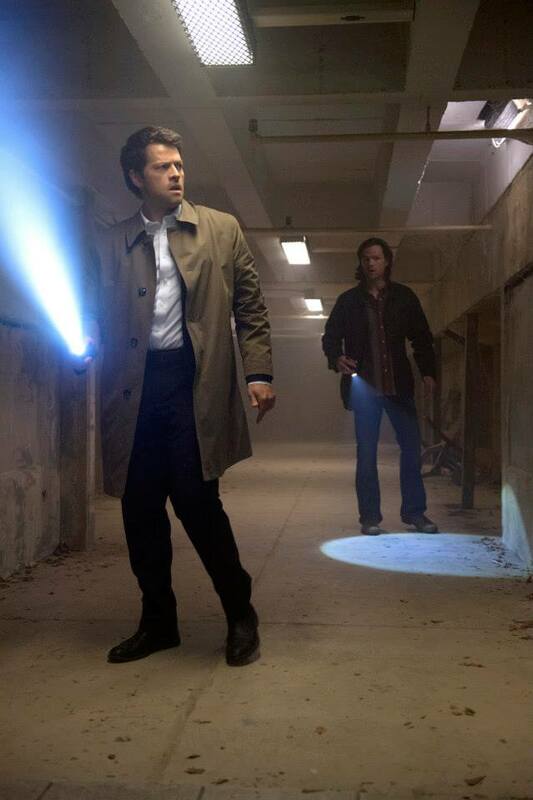 Meanwhile, Sam and Cas go off to investigate...something? Some other angel thing, and end finding a place where the portal to heaven might be. Alas, it is merely Metatron playing a trick on them. 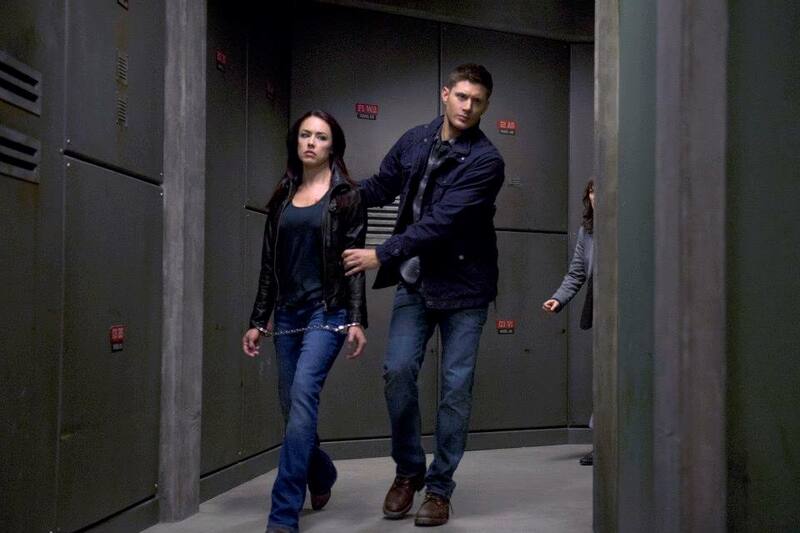 They head back to angel HQ to find Dean in custody. Metatron calls them up and basically says that Castiel is out of control, that he stole another angel's grace (true), that he really did order the suicide bombers (untrue), and if the angels really want to get back into heaven, that he (Metatron, that is) will forgive them for going against him if they re-join him now. Cas' angel buddies are ready to say no, but only if he will punish Dean for killing Tessa. I mean, duh, Cas most certainly will not kill Dean, so the angels defect back to Metatron. Which was all part of Metatron's plans, he practically gloats to Gadreel. He set up the whole thing to make Cas look all evil-like, which isn't much of a surprise, unless you're Gadreel. Gadreel decides he's had enough of Metatron and wants to switch sides to Team Free Will. Even though it looks like maybe they will decide to trust him, Dean loses it and slices him with the first blade. Whether it kills him or not remains to be seen. So, yeah. Metatron has a lot of angels on his side. Gadreel may or may not be dead. Dean is losing his mind a bit on a blood rage. You know, just your average day in the life of the Winchesters. - It appears all of the angel stuff and first blade/Mark of Cain stuff is going to come to a head in the finale. I do find it a bit odd they hardly ever seem to carry stories over from season to season, because it seems like they could with the Mark stuff. Then again, you don't want to overdo it either, so who knows. - Despite Castiel knowing a lot of pop culture references now, it's still nice to see he doesn't completely get everything. The prime numbers line actually made me laugh out loud. - How much are we all sick of Metatron by now? If there's one thing I would like, it would be for him to bite the dust in the finale. - It's not often we get Sam and Cas going off on an adventure just the two of them. Kind of fun, particularly when they end up having to solve door riddles and kinda go on the last crusade. - Did I miss something about reapers being angels? And just visible to anyone whenever? It's possible I don't remember this being explained in a previous episode, but I DO remember them making a big deal about Dean needing to talk to Death/a reaper before and having to basically be dead to do so. Dean: Nice reflexes. Better hair. Cas: I noticed your aliases are usually the names of popular musicians. Dean: Honey, there ain't no other man like me. Cas: Why is six afraid of seven? Now, I assume it's because seven is a prime number... and prime numbers can be intimidating. Sam: It's because seven eight nine. Cas: I'm very pop culture savvy now. Dean: Sure, you're Mother Theresa with neck beard.